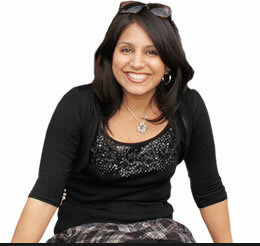 Sarah Linsdey Gupta passed away in the arms of her loving husband and family on Nov 6, 2011 at 6:40 PM (more information). I am sure that lot of us were expecting things to turn around and expecting a miracle to happen. 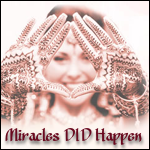 I truly feel that not just one but lot of miracles happen. Sarah’s Meeting with her singing group : Sarah was always passionate about two things i.e teaching and singing. She was part of her college’s cappella’s group(singing group) called “accidentals”. While the members of the accidentals are all over the US. They all decided to come together to Sarah’s home and sing with her for sometime. Sarah was not sure whether she will make it to meet them on Oct 24, 2011 but she did. Here is the video (http://www.youtube.com/watch?v=niG3qYvlLJA) prepared by accidentals after they met Sarah where Sarah sings solo while her college a cappella group sings back up. Listen to her voice, its beautiful. Sarah’s birthday Celebration:It was Sarah’s 31st birthday on October 27, 2011. She was very excited about her birthday. She was making a to-do list herself for her “SURPRISE” birthday party. She wanted the whole world to come for her birthday though she was not sure if she will make it to her birthday. She ended up having a very special birthday. Lot of people including our cousins from California, New York, Maryland, her school teacher and friends came to celebrate her birthday. Around 60-70 students wrote beautiful messages for her describing what they learned from Sarah. Lot of her students sent video messages for her birthday. One of her friends used to wear a special pendant in his neck which was like a blessing from his mom. He always thought that it was like a “protection sheath” for him. He gave that necklace and pendant to Sarah as her birthday present for her protection. How often do we get to see this much love? Sarah’s Doctor’s Undying Will to fight: I mentioned about the homeopathy doctor from Mumbai(India) in my last post. He surely is one of most wonderful people I know. Without any monetary benefits, she visited Sarah twice before her birthday. We were emailing him everyday 10-15 times and he was closely monitoring Sarah and prescribing medicines accordingly. He always said ” I will fight for Sarah till the last breath”. He had been in the US for last 15 days and was supposed to leave the country on Nov 7th, 2011. Sarah’s health was getting worse everyday. 4 days before she passed away she started having blood in her vomit and stool so Sumit requested Mumbai doctor on Nov 4, 2011 if he can see Sarah before he leaves US on Nov 7, 2011. He said he is very busy but he will try his best. He was in California and was ready to fly for 8 hours (giving up his sleep) and meet Sarah for 3 hours before he leaves for London. It took us 1.5 days just changing his whole itinerary (which involved 3 countries) to make sure that he visits Sarah on Nov 7 at 8AM. Sumit thought he is being selfish and probably it will very inconvenient for the doctor to come so told the Mumbai doctor that he doesn’t have to come and we can make things work through email. Mumbai doctor said ” I would still like to come. If I can’t save her , I would atleast try my best to make the whole process more graceful”. One hour before Sarah passed away she lost her voice. We called the Mumbai doctor who was supposed to take his flight in next 5 hours. He prescribed a medicine for Sarah which eased her anxiety and pain and he still wanted to come. Sarah dying in the arms of her loving husband : Two hours before Sarah passed away, we had a feeling that she might leave us so we all sat around her holding her arms. She took his dad’s hand and put it on her heart. His dad’s hand was on her heart for her last one hour. We all said things to her that we wanted to say. Sarah didn’t close her eyes for her last 36 hours because she was afraid that if she does that she would not wake up. We insisted her to close her eyes but she didn’t do that. While we (family members) were saying Sarah favorite prayers(http://www.youtube.com/watch?v=9LMQfOp9w8k) together, she closed her eyes and I felt happy that she might sleep for sometime and two minutes later her mom said “She has gone home”. We all cried but there was some peace with all of us that she is in a better place. First thing Sumit said after she died was “Oh Thank you God . Thank you for everything. Thank you Sarah. I love you.” Sarah died on Ekadashi of Kartik ( according to Hindu calendar) which is supposed to be one of the most auspicious days to leave your body.We informed the Mumbai doctor couple of hours before his flight so that he could follow his original itinerary which we had not canceled on purpose. Pledge to pay it forward : When she died, we all were peaceful. There was serenity on her face. We all made a promise to her and ourselves that for all the love and support we received in last 1 year, we all will give more love and kindness to this world and try to do more worthwhile things in this lifetime. Sarah’s taking away our pain : Instead of leaving us(family) in pain and misery, she probably took away all our pain and misery with her. The whole of her family is very peaceful. Each of us esp her mom and her husband have decided to just focus on her good memories and things she has taught us all. She wanted all of us to be grateful for every small thing God has given us and that is what we all are trying to do. There is no anger among us. We all are grateful to God and feel a closer connection with him now. There is a joy in our hearts that she is happy where ever she is. Sarah surely influenced me in lot of ways. I keep seeing Sarah in her white dress with wings on and she is whispering in my ears “This is the day the Lord hath made, lets rejoice and be glad in it”. This was Sarah’s favorite morning quote. Ever since I did vipassana I always wanted to give back more love and kindness to this world. I feel as if her whole journey triggered it all. At this point, I feel so much peace, I feel so grateful for everything I have. My heart is so ready to give and share more and more love. I so much want to make this life more meaningful and more worthwhile. I truly hope and pray that I can keep the promise I made to Sarah while she was dying and this thing is not short lived. I truly hope that I realize my true purpose and I make my life WORTHWHILE !!! So yes the things didn’t turn around the way we wanted and but don’t you feel everything above was no less than a miracle. I feel that God did what he thought was the best. Sarah didn’t just touch this world by her life but by her death too. She lived a more meaningful life in 31 years than anyone would live in 80 years. This entry was posted in General, Philosphy, Positive thinking. Bookmark the permalink. Thank you, Shweta!! You have captured a number of the miracles we have witnessed and experienced. People tell me they are so sorry for my sadness, but I honestly feel an overwhelming joy that she has accomplished God’s purposes for her, here on earth, and I feel no sadness at this time. I know there will come many times, that I will miss her laughter, and her unending chattering, and her singing, but that is my selfishness. She has been a blessing to me as a daughter, and I am proud of all of her accomplishments!! sarah…as the name suggests “princess”, lead her life as a true princess. she tried her best to bring happiness in everyone’s life and at the same time lived a happy go merry life.i had the opportunity to meet her for 3 days during my cousin-amit’s marriage in India. we all here met her for the first time and were hesitant of talking to her. but she removed all the barriers and made us all so comfortable. she knew everyone out here and on the other hand we only knew she was sumit’s fiancée. she had the ability to lead and at the same time keep everyone along. The lesson of love taught by princess would be remembered by all of us for times to come. i salute her positive attitude towards life. Shweta, I never met Sarah but heard alot about her from you. I always felt connected to her in someway and she was always in my prayers. I remeber whenever we talked in this last year, how much we wanted to things to turn around for Sarah, Sumit and the family. Things did turn around, God always has a purpose for an action and knows the best for all of us. Sarah was indeed a blessing on this earth, she had fulfilled her purpose and has motivated so many people to do something meaningful in our lives and spread love in this world. She will always be remembered and will stay in our prayers. I feel so grateful that I came to know abt her from u and she influenced me and told me to make my life meaningful and worthwile. Hi Di… I have never heard of such strong people like Sumit, u and especially Sarah. I am blessed that I met all of u in this life of mine. God bless the whole Gupta-Lindsey family!!! hi shweta i have not met u or sarah or sumit but feel connected. May her soul rest in peace. But u keep writing. Ur writing is very inspiring.By fluke i visited ur blog but now have added to the favourites.